For those yang "hantu" tengok video makeup-makeup on Youtube you must familiar with Kathleen Lights right?? She is so addictive! Hahahaa.. Everytime I watch her video I feel her by talking about products and new makeup. So, I've heard that she collaborate with OFRA a cosmetics brand in US to make her own liquid lipsticks and I was excited because the color is so what I've been looking for! I think I do have similar taste with Kathleen Light which she always prefer warm makeup color and look fun! Except that she is much prettier than I am lah kan.. Hehehee.. So, Kathleen Light came out with her own liquid lipstick called MIAMI FEVER. The color was spectacular! My taste! Hihihiii.. Here how the packaging looks like. Come in a tube like normal liquid lipstick will do. 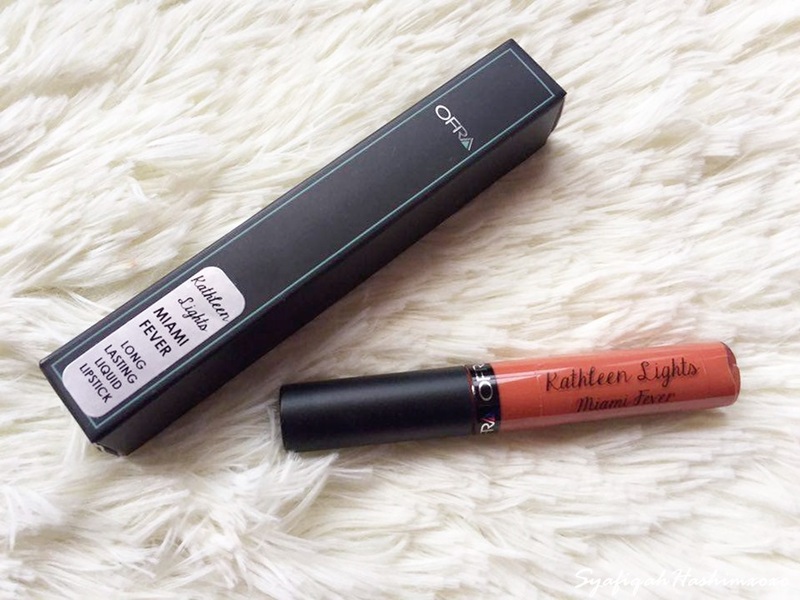 OFRA Long Lasting Liquid Lipstick claimed that this is one step full lip color that does not feather. They also come with vibrant colors. But let me try MIAMI FEVER first okay.. hehee.. 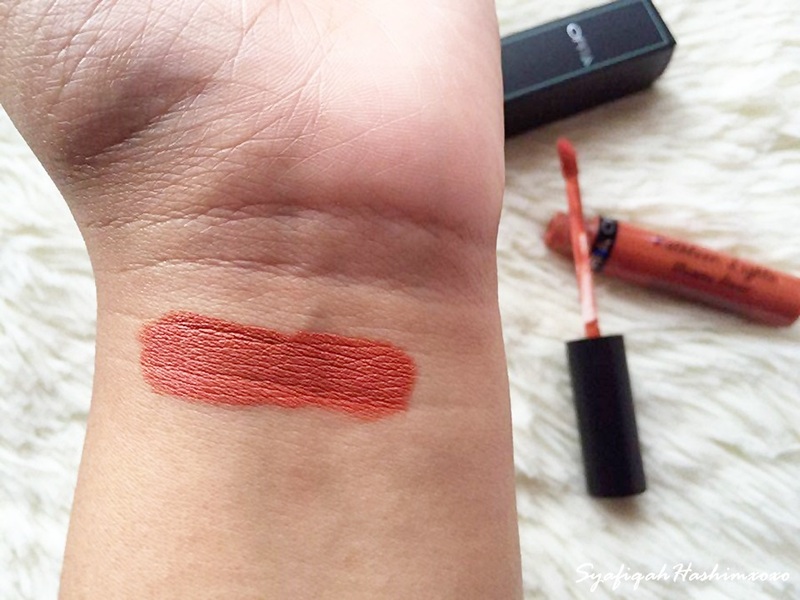 The swatch for OFRA Liquid Lipstick in MIAMI FEVER. To be honest, I will not recognize about OFRA brand if it not because of Kathleen Light. Hehehee.. This is quite pricey brand tho! 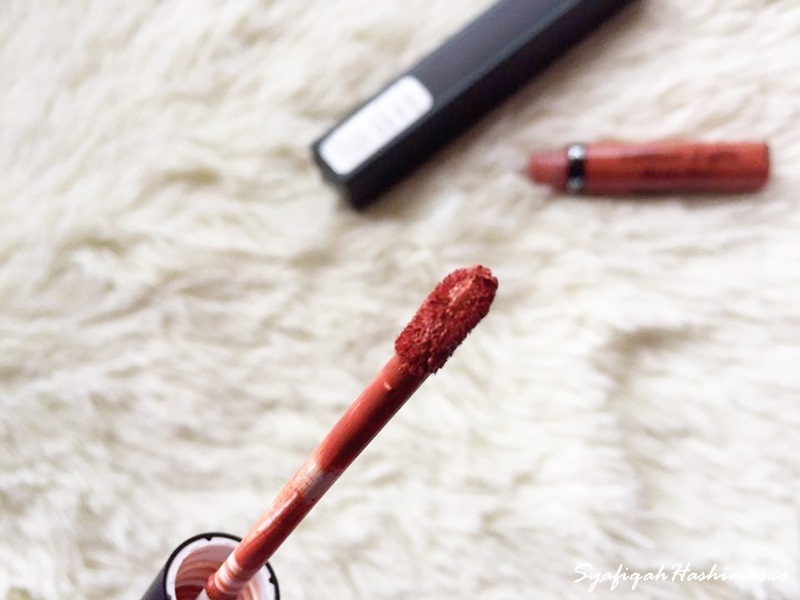 The main reason why I really want this Liquid Lipstick is because of the color! Yahh! Second because I'm just a fan to Kathleen Light. Kekekee.. So, I do some saving just to purchase this liquid lipstick. As for your information this lipstick is barely hard to purchase here in Malaysia so you need to ordered it from overseas and pay an expensive shipping fee! GRRRR.. The color as described by Kathleen herself that it is a Burn Dark Terracotta color. I can tell that this liquid lipstick is in creamy texture. With one application can make your lips full. The color is so pigmented and opaque enough for your lips. I don't bother looking for lip liner because the applicator able to give a beautiful edge to my lips. Thumbs Up for that. Because I'm not really a lip liner person. Hehehee.. So far I think this will last up to 5 hours on my lips. I mean with full coverage. By the way, it is a matte type so I think it kinda drying on my lips after a long wearing. For the best results is to wait about 15 minutes after applying the liquid lipstick before you drink or do anything. Just wait for it to completely set-up gittew. You can watch this video from Kathleen Light. Since I'm not expert in purchase things from oversea glad that I saw Sis Nurliyana Hanim wants to take orders from OFRA websites and she looking for more buyers so that the shipping cost will be much cheaper. 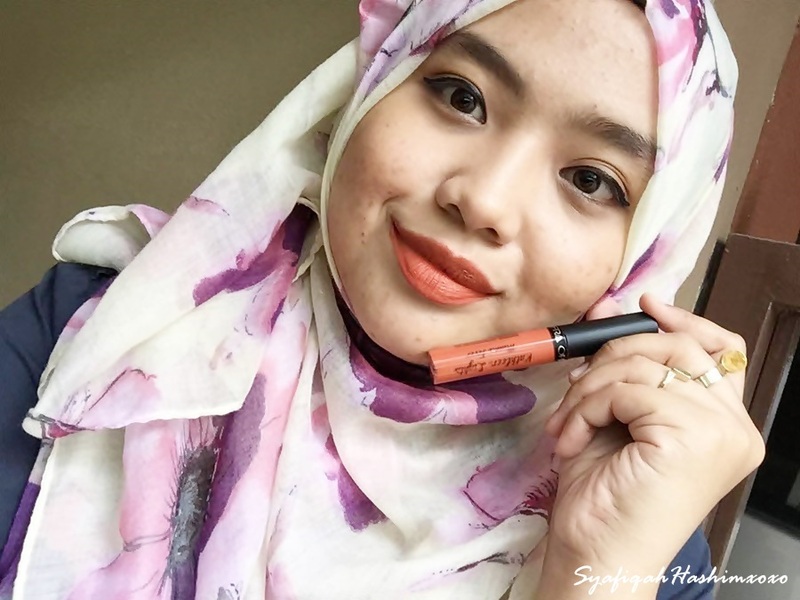 I was the one buyer that I purchase this Total RM88 for this OFRA Liquid Lipstick. Glad Sis Liyana "belanja" me the postage within Malaysia. Alhamdulillah. Jimat sikit. Thanks Sis! Hehehehee.. *Tutup muka malu sebab sebenarnya lupa bayar duit postage. Kekekekee.. I hope you like my review. This is based on my personal opinion and how I feel about this liquid lipstick. If you have any inquiries don't hesitate to leave it on the comment box below. Muahhh! Mahal weh! Tp liz sk warna oren selain fav color liz ialah peach. Kann. Saving tuuu utk lipstick. kelakar kan.. NGEE..
Terracotta tu warna dia more like orange2 la Liz. Nice jugak taw..
Kalau saya, saya minat dengan Viviannadoesmakeup. Heheh.